We have recently started a series of posts on Google Scholar. The purpose of these posts is to help teachers and students make the best of this educational search engine through introducing them to the hidden gems within this platform. If you have missed the previous posts, you can access them here. 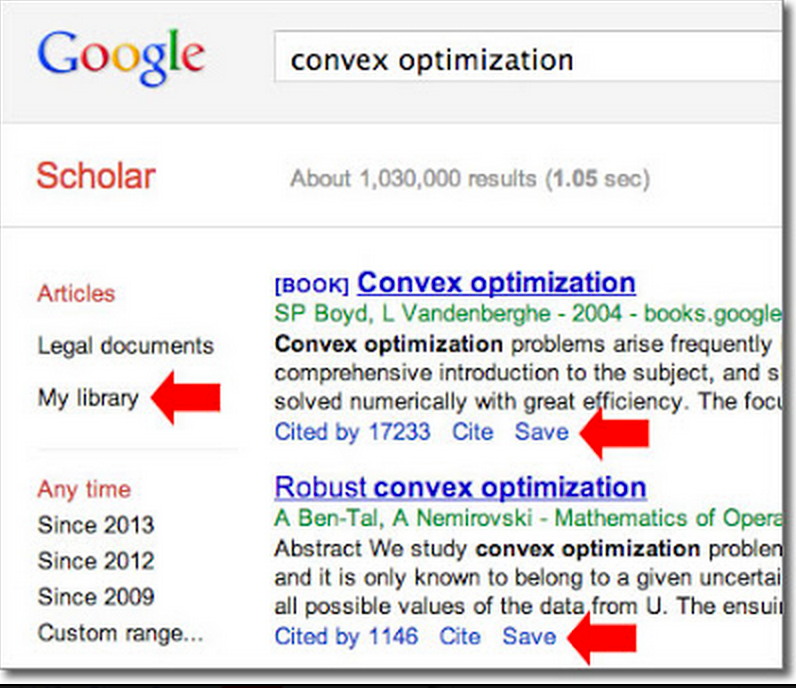 Today's tip is on how to create a library on Google Scholar. This library can be used to organize and collect all articles you find on Scholar. "You can save articles right from the search page, organize them by topic, and use the power of Scholar's full-text search & ranking to quickly find just the one you want - at any time and from anywhere.". 1- After you have conducted your search query on Scholar and found the article you want to add to your library, click on "Save" below the article to save it to your library. 2- Click on "My Library" to see all the articles in your library and search their full text. You can also organize your articles by using labels.